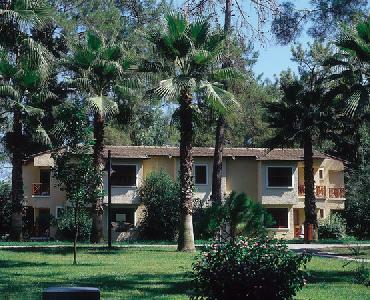 Surrounded by pine and orange trees in the coastal town of Goynuk and set between the turquoise sea and majestic Taurus Mountains, this hotel offers peace and quiet as well as an exotic oriental spa experience. 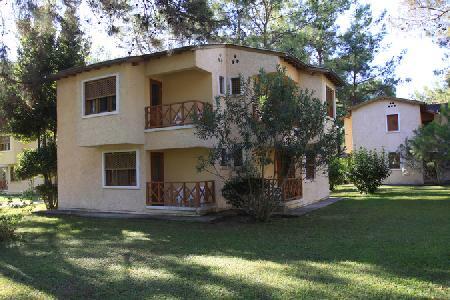 The hotel's modern, air-conditioned rooms feature en suite bathroom and a balcony with beautiful garden or sea views. 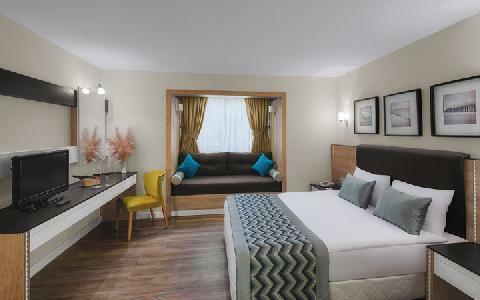 The Thalasso Centre focuses on the healing power of the sea and features a variety of therapeutic rooms for guests to relax and rejuvenate, and guests of all ages can enjoy the three indoor and outdoor swimming pools. 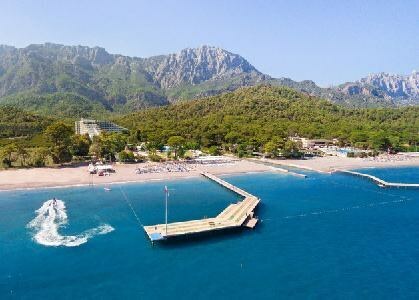 Those looking for adventure can find it in nearby Kemer, a popular resort town offering a wide range of water sports and activities including jet skiing, windsurfing, banana boating and diving, as well as a variety of shops, restaurants, and bars. 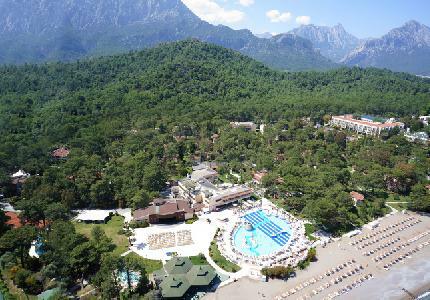 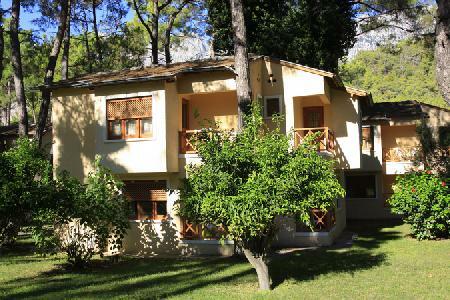 With its combination of a tranquil setting and proximity to Kemer, this hotel is perfect for a relaxing beach holiday.